SAFETY FIRST! A human life is far more important than the machines and equipment present at a workplace. Then comes the equipment safety. A human life can be put into risk due to many errors, be it human or apparatus. We have already discussed how deadly an arc flash incident is. We had previously written an article about the Electrical Safety Program - Why Your Company Needs an Electrical Safety Program. If you haven’t checked it out, please click below. It will help you to grasp the information available in this article easily. The unit for the incident energy is cal/cm2. It is obvious that the higher levels of incident energy released during an arc flashover leads to a more intense arc flash incident. Controlling the incident energy can aid in controlling the severity caused by the arc flash. The incident energy depends on three most important parameters and controlling these parameters will vary the incident energy levels. Let’s see how much of an effect would each factor have on the magnitude of incident energy. It is the distance between the source of the arc flash and the person working on that source. Greater the distance, lesser the intensity of the incident energy would be that has to be borne by the personnel. Hence, selection of a safe working distance can help reduce the severity of damages caused by an arc flashover. It is the measure of how long the arc would last. An arc lasts till the arc fault is cleared by the upstream protective device. Shutting down the power flow means that the circuit has opened, and the arc has been eliminated. Longer the time it takes for the electric arc to be cleared, greater the incident energy will be. Due to the direct relation between the time of exposure and incident energy, we have to implement methods that reduce the time of the arc. This can be done by a careful and uncompromising selection of the upstream protective device. The most well suited device would trip the circuit instantaneously after the occurrence of the fault. You can further read about these in detail as to how each of these methods operate in the Informative Annex O – O.2.3 – NFPA 70E 2018. You can read how each of these methods operate in the Informative Annex O – O.2.3 – NFPA 70E 2018. A solution can always be derived by examining the root cause of the problem. 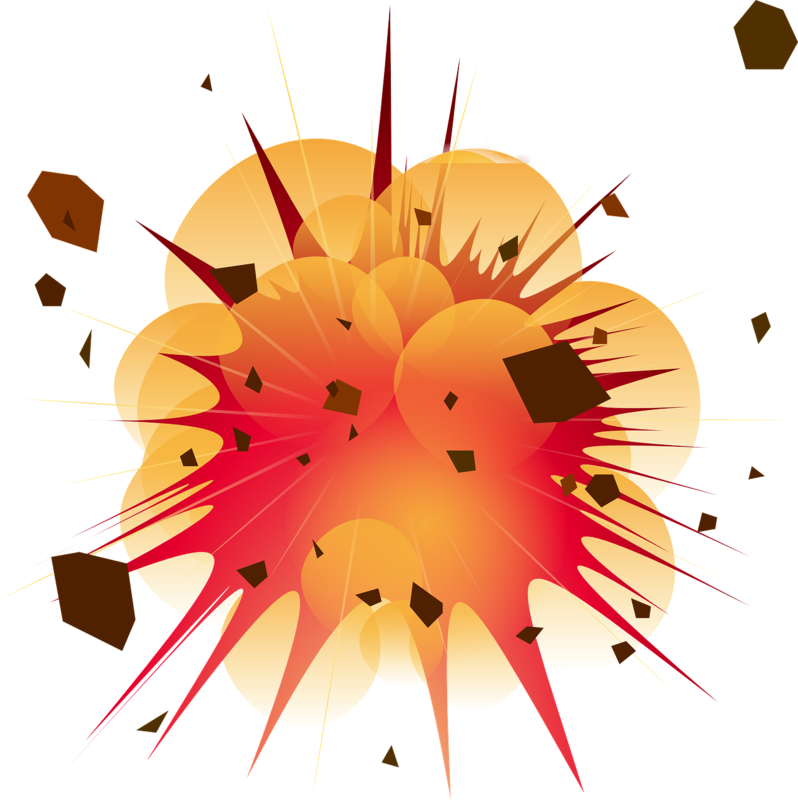 Let’s revisit the topic of what causes an arc flash. Some of the more common ones include: internal causes (loose connections, improper installation, deteriorated equipment) and external causes (dust, water, impurities, animals). The internal causes as we see are the result of lack of constant maintenance and supervision. It is obligatory for all the employers to have routine checks and tests on their equipment so that they can be aware of any minute disruption or damage. Not only the employers, but the employees and personnel should always have a check for broken parts or unusual appearance in the equipment prior to working on them. The external causes can be mitigated by constant vigilance: to not work under conditions that allows the entry of any particles or animals and bugs that can act as a route for short circuit and subsequently a fault. There is a standard according to which the study and the calculations are required to be carried out. This standard was published as the IEEE Std. 1584. An industrially accepted source, compliance with the IEEE 1584 should be strictly considered by all organizations. For more information on Labeling, refer to 5 Major Changes in NFPA 70E 2018 including new Arc Flash Label Requirements! NFPA 70E also requires that the data on the labels should be updated every 5 years and the person responsible would be the owner of the facility. However, it is even better if the studies can be carried out every year to notice the changes occurred during that time. When an arc flash hazard exists, an approach limit from an arc source at which incident energy equals 1.2 cal/cm2 (5 J/cm2). 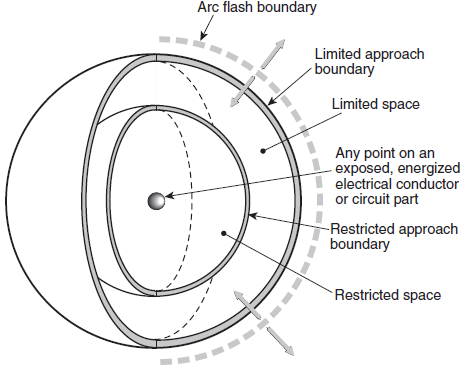 An approach limit at a distance from an exposed energized electrical conductor or circuit part within which a shock hazard exists. 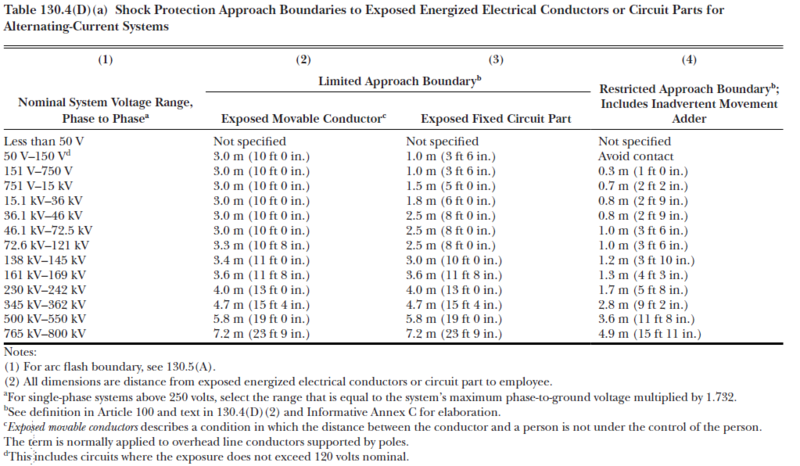 An approach limit at a distance from an exposed energized electrical conductor or circuit part within which there is an increased likelihood of electric shock, due to electrical arc-over combined with inadvertent movement. The energy of 1.2 cal/cm2 gives 2nd degree burns. Hence from these definitions, we can comprehend that the fatality of the hazard increases from the arc flash boundary to the restricted approach boundary. And therefore, restricted approach boundary and limited approach boundary are classified as shock protection boundaries. All working personnel within the Arc Flash Boundary must wear proper PPE, so as to secure themselves from the risks associated with arc flash injuries. This boundary is determined using calculations involving power of the arc and the duration of arc exposure. This tells us that the higher the arc flash intensity, farther the arc flash boundary would be. As with the case of Limited Approach Boundary, the unqualified personnel should not cross it. If they absolutely are required to be within it, then there should be a qualified worker also present with them. It should also be ensured that the unqualified personnel wear the proper PPE. Qualified personnel may enter the boundary. Only the qualified personnel may enter the Restricted Approach Boundary and it should be ensured that they are properly insulated from any energized equipment. It is recommended that any person present in these boundaries or having permits to work in them, should have proper PPE because it is better to have your PPE burnt instead of your skin and bodies. The restricted and limited approach boundaries can be determined using the two tables in NFPA 70E. 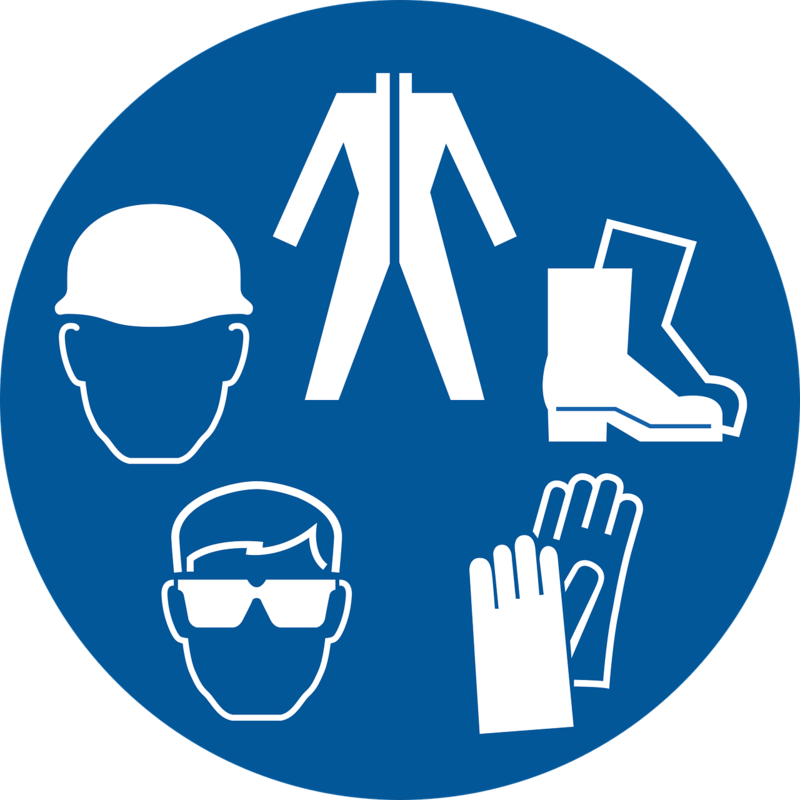 Personal Protective Equipment or PPE is the equipment that keeps a user safe and protected from the health risks associated with working on electrical equipment or within an electrical facility. It includes face protection, body protection, eye protection, head protection, feet protection, ear protection, hand protection and respiratory protection. None wouldn’t wish for their skin or body to be exposed to a source of fire and that’s when the PPEs come into action. They protect you from getting burnt! Arc flash PPE consists of arc flash suit, hard hat, leather foot wear, arc-rated face shield and more. PPE worn by the qualified and unqualified personnel should be taken into great consideration. PPEs change according to the working conditions and the data on the labels. “When an employee is working within the restricted approach boundary, the worker shall wear PPE in accordance with 130.4. It is the simplest reliable method to reduce the arc fault clearing time. In many industries, this method is followed where a circuit breaker equipped with an ARMS is used which provides a significantly lower incident energy level. This method is based on the fact that when working on an energized electrical equipment, a fault that occurs within that portion needs to be cleared as quickly as possible. With the help of ARMS, we increase the interrupting time of that Circuit breaker and it will act without any delay or any co-ordination with any other circuit breaker. It is one of the most secure, latest and engineered optic solution. From 2018 and onwards, it has become one of the most used innovative solutions in Electrical power industries. In this method. Infrared windows or thermal brackets are designed to permit infrared inspections of electrical components located within the switchgear enclosures. They are widely used in Switchgears (SWGRs) and distribution panels, they have a protective cover for thermal image sensing which is usually closed when they are not in use. Thermal image sensing devices can easily sense the operating temperature of the switchgear or panel board with the help of a data collection point installed in the IR Window in the metal cover. Arc-resistant switchgear is designed to redirect or transfer the Incident energy that was generated during the Arc flash incident. The system is designed with vent flaps that will open under the pressure of an arcing fault and redirect the super-heated gases and arc flash energy up and out of the equipment. . This is an advanced method to reduce the Incident energy within the panel. It provides a safe working space to the personnel to work with minimal risks.. However, the National Electrical Code (NEC) DOES NOT REQUIRE THE USE OF “Arc-resistant switchgear” under any conditions. The only NEC reference to arc-resistant switchgear is in an informational note that follows the Article 100 definition of the term “switchgear.” . The last sentence of the informational note explains that switchgear is available in both non-arc-resistant and arc-resistant construction..
What we have got in The Recent Industry? Some leading electrical equipment manufacturers have also introduced state-of-the-art protection devices. For example:. Instantaneous Zone Selective Interlocking is an advanced form of Zone Selective Interlocking. It is a system of multiple layers of circuit breakers that can act upon sensing all kinds of faults and can also be used as a backup when necessary. You can further read about it at IZSI and WFR by GE. Wave Form Recognition is an algorithm designed to increase the sensitivity of the feeders without compromising on selectivity. RELT or Reduced Energy Let-Through, as GE refers to it, is a switch that reduces the severity of an arc flash by increasing the tripping sensitivity of the circuit. It reduces the duration of arc flashover by reducing the time of tripping about 1.5 to 15 times the original rating of the protective device. The two protection relays Schneider Electric has introduced for arc protection are: VAMP Arc Detection and VAMP Arc Protection. Designed specifically for arc flash protection, these protective devices are fast, optimized and cost-effective. You can further read about it at VAMP Arc Detection and VAMP Arc Protection. An arc flash detection system REA is ABB’s complete arc fault mitigation system that incorporates fibre-optic sensors to detect arc flashover. With the research and deployment of the fourth industrial revolution, the Internet of Things (IoT), it is expected that electrical safety techniques will be transferred significantly from humans to the machines. With the introduction of smart grids in the energy generation sector, it can be predicted that the technology will pave the way for enhanced electrical safety in the protection sector. Devices will communicate with each other and protect the electrical systems from hazardous incidents long before a human can make contact. While implementing all the above said practices and measures to prevent arc flash incidents, it is extremely important that the workers, personnel, staff and the employees are sound in the knowledge of arc protection. A worker having no required information would not know how to operate on different conditions and can become a risk to the system, facility and the other personnel. Knowing the dangers and risks can make a person more aware of the risks involved while performing such tasks. Constant workshops and training sessions should be held in the organizations for employees old and new, so that the personnel can refresh their knowledge, be aware of any updates and overcome any hazard as a team!